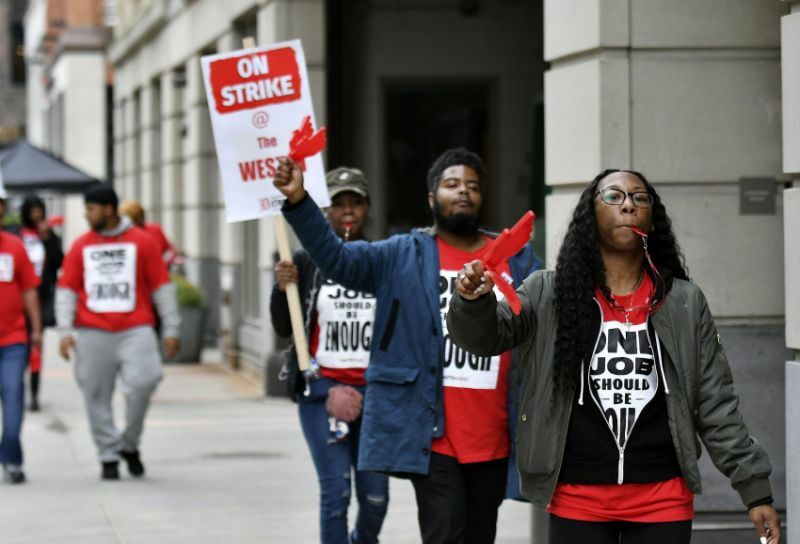 Workers are on strike in Marriott owned hotels across the nation as they fight for better pay and increased safety protocols. When workers strike in the country we all have a responsibility to support labor advancements for them, yet NBA teams don’t have a strong position on supporting their working class fans. Right now, players from NBA teams can cross picket lines for convenience over justice because the larger management in the Association doesn’t observe strikes in hotels where the players stay. Many fans of the NBA are working class people who deserve to be invested in the way they invest in the league. The NBA needs to commit to not booking in Marriott owned hotels while workers are not strike.